The Second Precinct reports the arrest of a Suffolk County woman for endangering the welfare of her child which occurred in Levittown of Monday, 09/01/13 at 2:30 P.M.
Levittown, NY - September 2nd, 2014 - The Second Precinct reports the arrest of a Suffolk County woman for endangering the welfare of her child which occurred in Levittown of Monday, 09/01/13 at 2:30 P.M.
Second Precinct police officers responded to the parking lot of 3023 Hempstead Tpke. for a female who was passed out and severely sweating, with a male infant, inside of a 2013 Dodge Dart. Upon arrival, the officers found the defendant Jessica Rosengart, 28, of Tredwell Ave., St. James, semi-conscious and slumped over in the vehicle, which was locked with the windows closed. The infant was in the rear car seat moving around and sweating profusely. The defendant opened the door after the officers repeatedly knocked on the window. At the time of her arrest the defendant was found to be in possession of a hypodermic needle and three glassine bags containing Heroin. Additionally, the defendant had an active Court Order of Protection issued against her which she violated by possessing and using drugs, along with having unsupervised contact with the infant child. 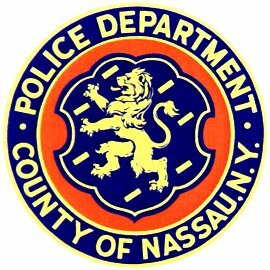 Nassau County Police Ambulance transported the baby to a local hospital for evaluation and treatment for heat exhaustion, where he is being held overnight for observation. Rosengart is being charged with Reckless Endangerment 1st Degree, Reckless Endangerment 2nd Degree, Endangering Welfare of a Child, and Criminal Contempt 2nd Degree. She will be arraigned on Tuesday, 09/02/14 in First District Court, Hempstead. Subject: LongIsland.com - Your Name sent you Article details of "Woman Arrested for Leaving Children in Parked Car While Doing Heroin"